To have a strong, long term bond with your child? 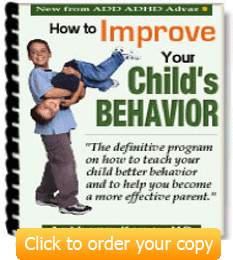 To learn how to control your toddlers behaviour? To reduce terrible twos temper tantrums? To increase your toddlers confidence and self-esteem? To give your toddler the best start in life? Learn how to tame terrible twos behaviour. Learn why your toddler is acting the way they are and learn how to positively control their behaviour. What will you find here? Lots of information about the terrible twos and how to cope with your toddlers behaviour to bring harmony back to your house hold. The main idea behind tame my toddler is to give you all the information and resources you will need to successfully combat your toddlers behaviour and the terrible twos. I want to share lots of tips and techniques with you and give you some of the best resources online to help you beat the terrible twos. Help you to transform your terrible twos toddler into a clever, confident child. 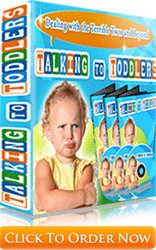 Learn how to understand your toddlers behaviour and why they act as they do. The main focus of this site is to help you to identify with your toddler and understand why they are behaving in the way they are. Once you understand and appreciate what the problem is and why the problem is there, you can then help your toddler to overcome these hurdles. Understanding the terrible twos is crucial in understanding your toddlers behaviour and is the first step to changing and improving your toddlers behaviour in a constructive way. Believe it or not, your little angle is not gone for ever. There behaviour may have changed over night and you may be cowering in the corner, but you need to take charge and control your toddlers behaviour before it is to late. Try changing their behaviour when they are 40, still living at home with you and still on the floor throwing a tantrum because you didn't cook the food they wanted for tea. You can control those terrible twos temper tantrums when you learn how to give toddlers warnings and successfully give toddlers time outs. Make sure you give your toddler not only the best start in life, but the best start to each day when you have a consistent bedtime routine for your toddler and use the stay in bed technique on your toddler to ensure both your toddler and you get the best nights sleep and are ready to face the next day. It is always in the news that your toddler should eat 'x amount of this' and 'avoid to much of something else' etc. But have any of those 'experts' ever stopped to think how difficult it can be to get your toddler to eat anything? Do they realize the extent and blackmail some parents have to go through to get their toddler to eat anything but junk food? Meal times and the terrible twos gives you realistic information on how to cope at meal times and a number of different strategies for you to use in order to get your toddler eating healthily and enjoying meal times.